These links will take you outside of my web page. Use the back arrow on your web browser to return to my Tattoo '67 web page. Links available on this site will allow you to link to web sites not maintained or controlled by this web page. The Tattoo '67 web page provides these links for your convenience only and is not responsible for and does not warrant their content in any way what-so-ever. The following links to youtube will take you outside my web page. When you have finished watching a video, click the return arrow to come back here. The contents of my web page including links, newspaper clippings, photos, pamphlets, videos, etc. are for enjoyment only and can not be used for commercial purposes. 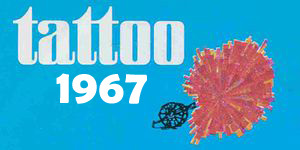 They are owned by the author of this web site are intended as memories of Tattoo 1967.